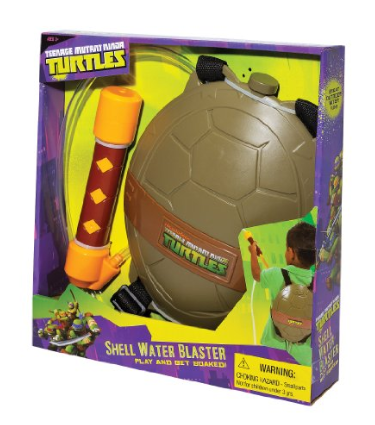 Teenage Mutant Ninja Turtles Shell Water Blaster Only $14.50 + FREE Prime Shipping (Reg. $19)! You are here: Home / Great Deals / Amazon Deals / Teenage Mutant Ninja Turtles Shell Water Blaster Only $14.50 + FREE Prime Shipping (Reg. $19)! Woo Hoo! I just found this highly-rated Teenage Mutant Ninja Turtles Shell Water Blaster on sale for only $14.50 (Reg. $19) right now! Hurry, though, as this is one popular item this year and are sold out/not available at most stores!